Here’s the thing with being outside and active: you get hungry. And the more you tune into your body, the pickier you become about what goes down the gullet. If you listen, your body will tell you what works and what doesn’t. And, if research shows that being sedentary and eating fast food can become a destructive, self-fulfilling cycle (It does. Click here. ), I’d like to suggest the opposite is also true: eating well and getting outside beget more eating well and getting outside. Picky Bars might be the first bar I won’t get sick of. The Bend, Oregon company uses simple ingredients like dates, blueberries, almonds, rice cereal, and apricots. They’re flavorful without being too sweet. They have a balance of complex carbohydrates and protein that tastes good going down and doesn’t wig you out with a rush & crash or the sluggishness that comes from eating too much protein. We tried Blueberry Boomdizzle, Need for Seed (with sunflower butter), and Smooth Caffeinator (with hazelnuts and mocha. Yum. I love oats. My horses love oats. My genes love oats (I’m fairly fit and trim, yet I still have high cholesterol. Doctors recommend oats.) 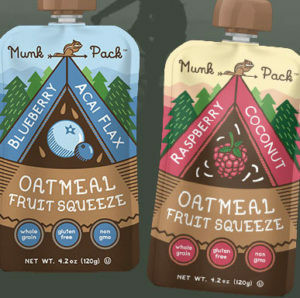 So, I downright gravitated to the Munk Pack booth which featured single serving packs full of flavored oatmeal. I tried them on rides and hikes; they gave me instant and delayed satisfaction. The instant element comes from yummy flavors (I tried raspberry coconut and blueberry acai flax.). The delayed satisfaction comes as you feel the nutrients begin to course their way through your system. No rush. No crash. All good. Skeptics might balk at the packaging and texture. Munk Packs, based in Connecticut, could be mistaken for apple sauce pouches for toddlers. But get over it! It’s what inside that matters. And you can tell kids it’s strictly an adult taste. Read more about what we discovered at the Outdoor Retailer. 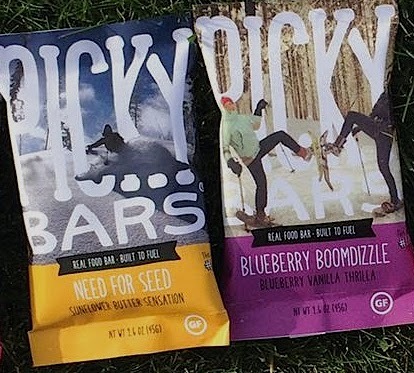 Posted in Health, On the Trail, Reviews and Links and tagged munk pack, picky bars. 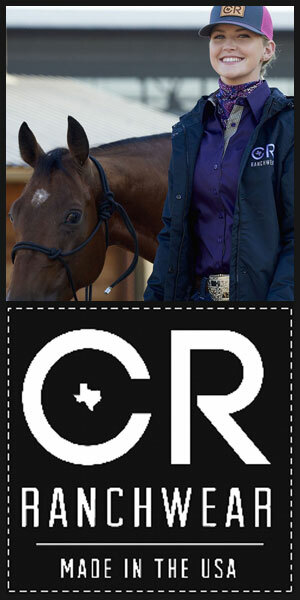 I am an avid hiker and horseback enthusiast, as well as someone who cares about how healthy I eat. I couldn’t agree with you more. The munk packs are convenient to carry and resealable. The picky bars are tastier than any other bar I have tried, and I have tried them all. Good products and an accurate review. The munk packs are convenient to carry and resealable. The picky bars are tastier than any other bar I have tried, and I have tried them all. Good products and an accurate review.